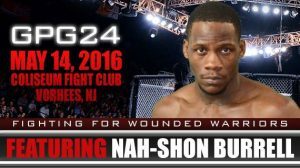 Nah-Shon Burrell steps back in the Global Proving Ground cage this Saturday, May 14 at GPG 24, held at the Coliseum Fight Club in Voorhees, New Jersey. Burrell, a UFC veteran himself he takes on Ultimate Fighter veteran, Dustin Long for the GPG middleweight title. Burrell is on a two fight win streak, looking to make his third consecutive win a dominant victory against Long to claim the GPG title that he believes is his for the taking. 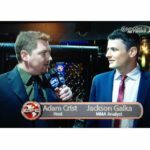 Tune in below as Nah-Shon Burrell and MyMMANews’ reporter, Adam Crist go head to head to preview Burrell’s title fight which is just days away!